It’s that time of year again – Thanksgiving, followed by one of the busiest, most hectic, and dangerous shopping days of the year, Black Friday. Whether you intend to go out and hit all of the great deals in-store, shop online, or do a little of both, it’s important to keep yourself, your identity, and your bank account safe. 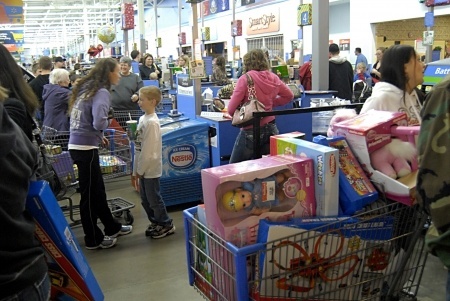 Grabel & Associates has a few Black Friday shopping safety tips we hope you’ll find useful. When shopping the malls, outlets, and retail stores in person, the key to staying safe is awareness. Whether you’re leaving the car to go into a store or coming out with an armload of packages, pay attention all around yourself – and watch behind your back. Before heading out to the parking lot, have your keys in hand and put your cell phone away. Talking or texting makes it impossible to pay close attention, and having your keys available will help you enter your car quickly without having to fumble around in your purse or pocket. To prevent your purchases from being stolen if you intend to make the rounds to various sales, pack them in the trunk, away from prying eyes who may see packages in the back seat. Before getting into your car, take a good look inside – and around the perimeter as well. You don’t want to be surprised by a stranger inside your car, or one waiting to jump in when you unlock the doors. If it’s dark outside, use a flashlight. It may sound a bit paranoid, but better safe than sorry. If you can, shop with a family member or friend – or two. Criminals are less likely to make any moves to take your wallet or even rob you when you’re in a group. If you’re a woman who must carry a purse or pocketbook, make sure to hang it diagonally across your body from the opposite shoulder, as it won’t be as easy for someone to grab as it would be dangling from your shoulder on one side of your body. Keep it close, under your arm and hand. In the check-out line, make sure to keep your credit or debit card out of view of others, and look to make certain no one can see over your shoulder when putting in a pin number. The last thing you need is for someone to have access to your credit cards or other banking information. When shopping online, pay with a credit card rather than a debit card if possible. While you can dispute the charges either way, the amount you spend comes out of your bank account automatically when using a debit card. Shop only on secure websites. How do you know if a website is secure? Look in the browser; if you see a padlock, it means the website is secure and you can safely browse and make purchases. Also keep your eye out for encryption, as you only want to use websites with an SSL or secure sockets layer. These websites’ URL begin with https:// rather than http:// – there is an “s” in the URL. This will help ensure safe shopping. Even after you’ve finished your Black Friday shopping spree, you’ll want to keep your eyes on credit card statements and bank accounts for a couple of weeks to make sure nothing suspicious pops up. If you do see something unusual, contact the bank or credit card company immediately. Have a great Thanksgiving, and a safe Black Friday shopping experience! We hope these tips will help prevent you from becoming a victim.